Late last year I asked readers to share their questions and issues. I received a lovely email from an employee who wanted to know the right way to go about asking for a raise. 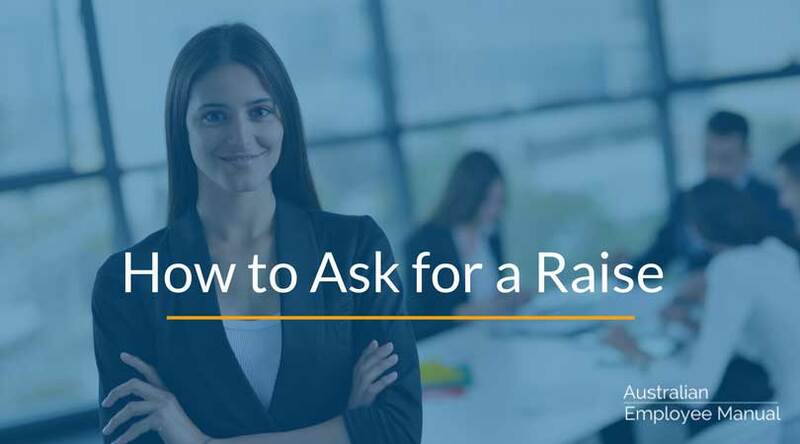 Over the years, I have been on the other side of the table for many of these discussions, so here are my tips on what managers want employees to know about asking for a raise. The first and most important thing you need to know is that just because you personally need more money (for whatever lifestyle reason), doesn’t mean that a company will pay it to you. Your private reasons for wanting a raise are just that … private. Companies really don’t care about your private reason. You need to prove that you deserve the raise and not just want the raise. If you want to get a raise, you have to start thinking as if you are a business. Start by doing your research. You need to read over company policies and procedures to find out if raises are only awarded at certain times of the year (if at all). You need to check any legal limitations such as award salary provisions – if you are in Government, for example, raises are few and far between. Also, check out any company practices – for example, everyone only gets a maximum of 10% above award or award rates only. Next look at the financial health of your company. In a recession, there is less money for many businesses to put towards their wages. If your company has been retrenching people or is in the middle of a hiring freeze, there is little chance of getting a raise. After that, look at market rates. If you are paid significantly below the market, you may have a better case than if you are paid equal to or above the market rates for similar roles. Look at the value you add to your company. Try and quantify the difference you are making in terms of sales, new customers, profit etc. Your value may have also increased if you have taken on significantly higher responsibilities or increased the number of employees you supervise. It also is increased if you have a unique skill – if you can easily be replaced, then your likely chance of a raise is lower. You are more likely to successfully negotiate a raise when being transferred, promoted or being asked to take on more responsibility. If none of those things is happening, your best option is to discuss a performance bonus if you hit specific targets rather than a raise. Make a time to meet with your manager. Avoid ambushing them, or showing your hand before the meeting – that will get you a quick “no”. Also, remember to pitch the amount in terms of $ per week rather than total annual cost – a little trick you can borrow from the marketing profession. Unless you are speaking with the CEO, you can expect your manager will have to go through multiple levels of hierarchy. Help them argue your case by having all of your facts clearly and logically outlined. Finally, don’t try and hold your boss hostage by threatening to leave or by saying you have another job. My personal approach was to always shake the hand of the person attempting to hold me hostage and wish them well in their new job. Any hostage attempts generally guarantee the automatic failure of your raise application from most bosses.